Do you know what it takes to pull off a fun event of this magnitude? We couldn’t have been able to do it without our many amazing sponsors and partners! Thanks to all of our 2018 Sponsors for being part of this special day! 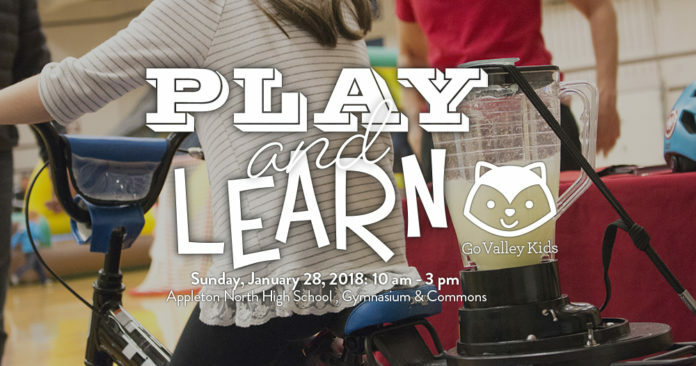 Join us on Sunday, January 28, 2018 from 10 am – 3 pm at Appleton North High School and learn more about these great community resources and have fun! Admission is just $2 / person, 2 & under free! 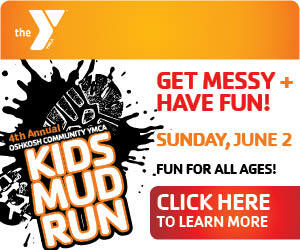 Event proceeds fund this event and future Go Valley Kids events. FREE activities include face painting, bounce houses, snakes, magic show, music, crafts, activities and more! Appleton Area School District Birth-Five Outreach provides outreach to families with children under the age of 5 who reside in the Appleton Area School District. Offerings include parent/child playgroups and events, developmental screenings ages 3-5, parent education workshops, welcome visits, referrals to home visitation programs and connections to school and community resources. American Soapbox Theatrical is a new theatre company based in the Fox Valley area in Wisconsin. We are a small non-profit organization looking to provide professional productions as well as new opportunities for children in our communities. Dragon Rugby approaches youth development from 3 programs. We develop Elementary and Middle School kids through a flag rugby program. Youth learn the fundamentals as they transition to High School Rugby. Our competitive high school programs are associated with Appleton Schools. Appleton Rock School is a performance based music program that provides beginner thru advanced music lessons on: guitar, voice, bass, piano, and drums. 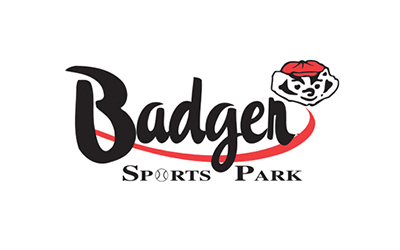 Badger Sports Park is the Fox Valley’s premier family entertainment center. 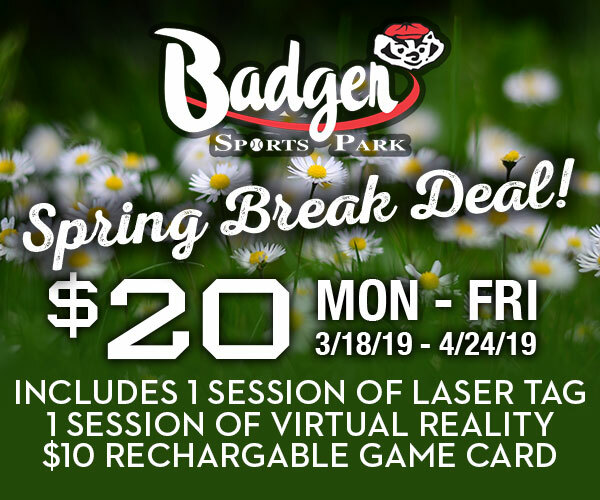 Badger Sports Park offers a challenging miniature golf course, a go kart track, batting cages for all levels of hitters and a huge indoor game room for everyone. Badger specializes in birthday parties, church and school groups and team building events for companies of all sizes. Balloons and Dreams is a Christian family business started by Andi and Jason Woodrow in 2013. With eighteen years of experience building balloon arches for friends, parties and church events, the decision to start the business was simple. Over time, we have been able to perfect the balloon build process and work together as a team to create a dreamlike experience for each event. We are a board game store located in Downtown Appleton. We have a large selection of games affordable for everyone. Faith, Family and Friendship, Camp Luther is a year-round Christian camp offering outstanding summer camps, family retreats, group events, and cottage retreats. Camp Luther is a subsidiary ministry of the North Wisconsin District of the Lutheran Church Missouri Synod. Open to everyone! Access to Three Lakes Chain of Lakes, Three-Eagle Bike Trail and area Snowmobile Trails. Join us Memorial Day-Labor Day at 10:15 on Sundays for worship at our Outdoor Chapel (Fellowship Hall if raining). 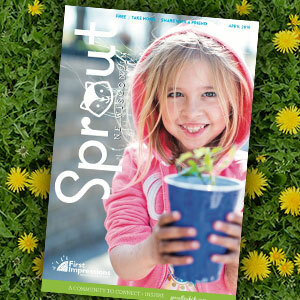 Catalpa Health was formed in collaboration with Affinity Health System, Children’s Hospital of Wisconsin and ThedaCare to reduce barriers, eliminate stigma, provide a full continuum of care and emerge as a center of excellence dedicated to providing outpatient pediatric mental health services for children and teens, ages 2 – 18. Services offered include individual and family counseling; group therapy; medication management, psychological and neuropsychological testing; and concussion testing. Championship Martial Arts in Darboy and near Kimberly, Little Chute, Kaukauna, Menasha or just about anywhere in Outagamie County and the Fox Cities offers a stellar martial arts program that kids love and a world class life skills and character development program that parents rave about! Come check out the Championship Martial Arts difference for yourself. Our Kids Karate program teaches kids how to do karate the right way. You will learn that our kids karate program teaches a stellar karate class along with a world-class life-skills and character development program that will help your child with discipline and build their self confidence. Dr. Clint Dorn of Chiropractic Health, studied in the Minneapolis area where he spent 4 years earning his chiropractic degree. The Doctor also spent a year and a half in clinical practice and nine months as an associate Doctor in a Southern Minneapolis clinic. He grew up in Shiocton, and earned his undergraduate degree at UW Oshkosh. Dr. Dorn is a member of Wisconsin Chiropractic Association, the Motion Palpation Institute, which focuses on Chiropractic physiology, and Integrity Management, which focuses on quality of patient care and service. Daly Reminders Photography is a boutique studio located in Appleton. They specialize in Newborn, Children, Family, and High School Senior portraits. Your session is customized to produce creative artwork that is genuinely and uniquely you. Daly Reminders Photography offers heirloom quality products to match the first class service they provide. 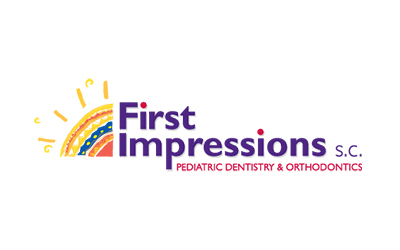 First Impressions is the largest privately owned group of pediatric and orthodontic specialists in Wisconsin. 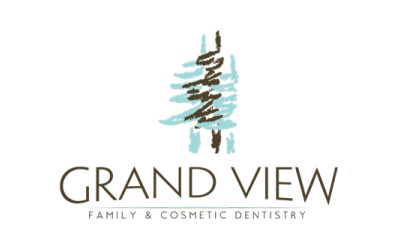 We have 7 locations throughout North Central Wisconsin in Wausau, Weston, Rhinelander, Medford, Stevens Point, Shawano and Appleton, Wisconsin. As pediatric dentists, we are trained to manage pediatric oral conditions. Our specialty training has allowed us to develop a deep understanding for the care and management of children. Our office is committed to providing all aspects of pediatric dental and orthodontic care for your child. Fit Moms on the Move, LLC (Fit MOM) is passionate about fitness, teaching, family, motherhood, and community. We specialize in and offer affordable outdoor and indoor based pregnancy, postpartum, and “beyond” fitness opportunities for mothers and families in Appleton, WI and surrounding areas. We help moms get in great shape, connect and socialize with other like-minded women, have fun, and (best of all) bring your bab(ies) or toddlers to class! Older kids are even welcome to join in on the exercises. Babywearing is welcome, as are pregnant women. As moms with young kids, we understand the difficulties of getting exercise in, making new friends, and getting ourselves and the kids out the house during the day. We love to work out and to teach, and what better way to share our passion than to offer the opportunity for local moms to join us! Classes are open to all women of all ages and every stage of life (you don’t need to have kids to be a part of the fun!) Exercises will be modified to fit individual needs while maintaining safe and effective standards for specific conditions. Before you begin, be sure to talk to your doctor about starting or continuing an exercise program. Forever Moments Photo Booths provides fun and exciting entertainment for your guests. Add a photo booth to your wedding, birthday, or corporate event. The Fox Valley Food Truck Rally is a collaboration of local food trucks in the Fox Valley region of Wisconsin. We usually have 10-12 trucks at each rally! The FVHC does several entertaining and educational talks throughout central Wisconsin for schools, scout groups, company picnics, charity fundraisers and much more. We do training sessions for police, fire departments and rescue organizations on how to handle and care for large snakes. We also rescue reptiles in need of care or a home. The Fox Valley Herp Club is a nonprofit organization that does not charge for the shows it performs, but donations are accepted and are used to promote our club events and our image. For more information about shows for your organization or group, please contact us at any one of the phone numbers listed on the contacts page. In many cases weather may be a restricting factor if shows are being done in the outdoors, however over the last few years the club has begun doing several shows through the winter for indoor events. In most cases shows can be tailored to accommodate your organization’s time frame or specific needs. The FVHC has performed shows from Green Bay to Milwaukee. If you are outside this area you may still contact us to determine if a show in your area is possible, but please understand that our members provide their own transportation and location may also be a limiting factor. FVL Schools is a Lutheran school system offering Christian education for children from day care age through high school. We have 26 campuses located all around the Fox Valley, from Green Bay to Oshkosh, Weyauwega to Brillion. Find out more about us at fvlschools.org. Jump Around Rentals provides the best party rentals in the Fox Valley including bounce houses, water slides, combo bounce n’ slides, obstacle courses and concessions. We offer different themes such as Tropical, Pirate, Carnival, Frozen, Batman, Justice League, Mickey Mouse & Packers. If you are interested in a theme or have another suggestion for party rentals, please contact us and let us know your ideas. Inspirations Dance and Fitness is about inspiring individuals- women, men, children – to reach their highest potential inside and out through dance, movement, fitness, and motivation. We provide high-quality, fun loving instruction with an emphasis on a whole body, whole mind, whole family approach that will enhance your life and overall feeling of confidence, strength, and well-being. We want you to walk through our doors and feel at home. Come Dance. Get Fit. Have FUN! Dance and Fitness for Everyone! Makaroff Youth Ballet (MYB) is a non-profit youth ballet company serving Fox Valley and surrounding communities. Most recently, MYB along with guests from the Makaroff School of Ballet, performed The Nutcracker at the Fox Cities PAC with the Fox Valley Symphony and Appleton BoyChoir. MYB members participate in ballet classes at The Makaroff School of Ballet, where individual growth is emphasized in a caring and inspiring learning environment. Ballet teaches artistry, athleticism, discipline, confidence, and dedication. Contact Makaroff School of Ballet for a complimentary class for boys and girls ages 5 – adult. The Martec Research Center is a marketing research facility located in Green Bay, Wisconsin. We offer a full range of marketing research services, with special emphasis on telephone research and focus groups. We are here to assist you, whether you are doing a single focus group in Northeast Wisconsin, a multi-national tracking study, or anything in between. Balloon twisting, face painting, henna art, magic shows, glitter tattoos and more. We have a team of people that can handle all size events. New Hope Church’s Children’s Ministry aims to partner with parents and encourage families to grow in their faith together. Events like Eggstravaganza, Fam Jam, VBS, and Jingle Jam are our way of offering the community a fun, free, family friendly way to make memories. We are a family owned concession company specializing in Hot Dog Carts and Hand popped Kettle Corn. Contact us today to book your special event! READ Learning Educational Services, LLC helps those affected by dyslexia, dysgraphia and other learning disabilities realize their full academic potential. Our learning center has a reputation for offering highly effective one-on-one private teaching interventions, using research based approaches, in reading, spelling and writing. We are also known in the community for our dyslexia testing, courses/training in executive functioning skills, educational consultations and professional development trainings. For more information visit our website at, www.readlearningservices.com. Safe Kids Fox Valley is a partnership of service agencies dedicated to reducing accidental injuries and death to children in our communities through a multi-faceted campaign of educational programs, public policy initiatives and media efforts that teach injury prevention. Safe Kids Fox Valley includes Outagamie, Winnebago, Calumet, Waushara, and Fond Du Lac counties. 2250 W. Grand Chute Blvd. Safe Routes to Schools (SRTS) is a national and international movement that is creating safe, convenient and fun opportunities for children grades K-8 to bicycle and walk to and from schools. Safe Routes to School programs aim to enhance children’s health and well-being, ease traffic congestion near the school by taking advantage of biking instead of driving vehicles and improve air quality as a result of less car exhaust. while also improving community members’ overall quality of life. SCHEELS is a destination sporting goods store with 26 locations in the U.S.A.. Fuel your passion in hunting, fishing, camping, fitness and sports. 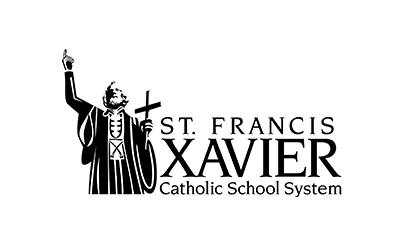 St. Francis Xavier Catholic School System is committed to academic excellence rooted in strong faith and value formation. We strive to help students develop the knowledge, skills and attitudes that will enable them to be successful citizens in the 21st century. Our mission is to empower each child to become a competent, caring, responsible person by providing a program which integrates our Catholic Faith with Academic Excellence and fosters a life long love of learning and a desire to serve others. St. Mary Catholic Schools (SMCS) includes St. Mary Catholic High School and St. Mary Catholic Middle School in the Town of Fox Crossing and St. Mary Catholic Elementary Schools (St. Margaret Mary and St. Gabriel in Neenah, and St. Mary in Menasha). SMCS is dedicated to the individual development of each student in grades Pre3-12, by providing the highest quality education focused on faith, academics and service in a rapidly changing world. At Swimtastic, our goal is to teach young children to swim in a positive, safe and loving environment. We recognize that each child is an individual with different emotional and developmental abilities and we cater each lesson to those needs. In addition to teaching the skill of swimming, we strive to develop each child’s self-esteem, confidence and love for the water — because creating a happy swimmer is a gift that lasts a lifetime. THE ACADEMY (Formally Karate America-Appleton) is dedicated to helping your child become a strong and productive member of society armed with character, respect, and a healthy self-image. Equipped with these positive attributes, your child will have the inner strength needed to avoid the many temptations children face today. Our dedicated staff and instructors have created a high-energy, challenging and fun Martial Arts program with age-appropriate classes that will challenge your child without ever leaving them behind. Our physical Martial Arts curriculum, world class Life Skills & Leadership program, and amazing certified Black Belt instructors are the perfect combination for your child’s success to reach his/her goals! These are only a few reasons why THE ACADEMY is the BEST Martial Arts training center in all of the Fox Valley! For over 23 years THE ACADEMY has been a positive part of the Appleton and surrounding communities. We look forward to welcoming you personally to THE ACADEMY family! At The Chiropractic Advantage, our mission is to provide the people of Appleton and the Fox Cities area a service that will help you achieve and maintain your highest potential for health. Our Chiropractic Physicians and staff are committed to serving the true health needs of Appleton and other communities of the Fox Cities. We focus on you, striving to make your experience warm, friendly and comforting. You will enjoy our state of the art facility which includes digital x-ray, advanced chiropractic techniques and the newest therapies to help you get better faster! Do you want to improve your golf game or spend more quality time with your family? We offer safe and gentle treatments that will keep you on your feet! Our goal is to help you Move Well to Live Well – improving your overall quality of life. The Trout Museum of Art’s mission is to excite the community about the visual arts. The activities which allow The Trout Museum of Art to fulfill its mission include: exhibitions, educational programming and special events such as the annual Art at the Park artist exhibitor festival, lectures, workshops, family fun days, and a biennial exhibit for local artists. “Children are clever – they are our equals. We shouldn’t talk down to them, but look across at them. Books should be friendly, and as much like magnets as possible. They should be reliable and accurate, stylish and artistic. Books should help get you off your couch so you’re not just sitting there watching TV and chewing gum. For more than 25 years, Kane/Miller has been publishing award-winning children’s books from around the world. We’re proud that our books bring the world closer to children but at the same time, open their minds to the differences that are part of that world. Our aim is to publish books that make kids say “Wow, that’s just like me.” and also “Wow, that’s different.” And for them to know that maybe someone in another part of the world is saying “Wow” about the exact same book. UW-Oshkosh Head Start serves preschool children from low income families in 4 counties. This is a FREE program. We also collaborate with some school districts to provide an extended day 4K / Head Start option as well. The education component blends together guidelines from Head Start Performance Standards, State of Wisconsin rules for Group Day Care and the Active Learning Philosophy of the High/Scope Educational Research Foundation for Young Children. Preschool-aged children ages 3, 4 and 5 are engaged in one of several options most appropriate for their development. Each option provides opportunities for stories, music, poetry, beginning social studies, math, science and language development. All activities are geared to the developmental level of the child and include individualized lessons in the area of a child’s special needs or interests. There are always a variety of quiet activities, active play, directed activities, child initiated activities and in the classroom options, small and large group activities. Care is taken that all activities reinforce ethnic backgrounds and seek to be non-sexist. Wisconsin Connections Academy (WCA) is a tuition-free, K–12 public virtual charter school that students attend from home. WCA brings a fully accredited public education directly to your family’s door—anywhere in Wisconsin. Wisconsin Swim Academy takes a loving, gentle approach with teaching both safety and swim skills by earning your child’s trust and building their confidence. They become smart, strong swimmers thus giving you a peace of mind. The YMCA of the Fox Cities has been a unifying force in the Fox Valley for more than 128 years strengthening communities through Youth Development, Healthy Living and Social Responsibility. 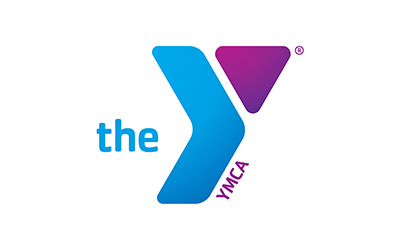 The YMCA of the Fox Cities consists of five branches: Apple Creek YMCA, Appleton YMCA, Fox West YMCA, Heart of the Valley YMCA and Neenah-Menasha YMCA. It also owns and operates YMCA Camp Nan A Bo Sho, a 40 acre overnight camp on the shores of Waubee Lake near Lakewood, Wisconsin. Visit www.ymcafoxcities.org for more information. Interested in becoming one of our 2018 Sponsors or providing entertainment for this event? Volunteering? Email govalleykids@gmail.com for more information! Go Valley Kids is a complete guide for family activities, events and information in Northeast Wisconsin, focusing on the Fox Valley area. As proud local parents we love sharing all our community has to offer be educating, entertaining and empowering families to lead happy, healthy lives.